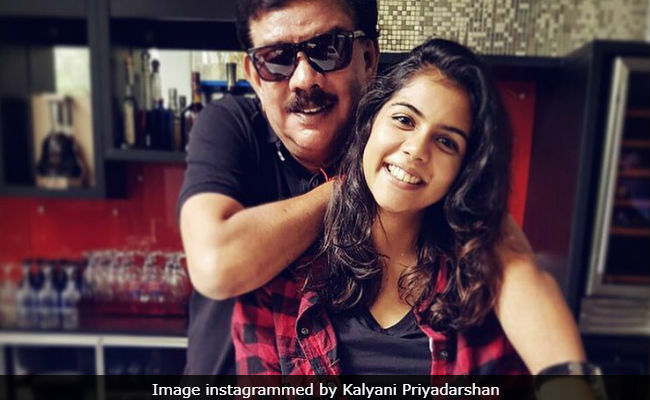 Kalyani Priyadarshan said: "My father was relieved when I pulled it off"
Filmmaker Priyadarshan's daughter Kalyani, who recently won the Best Female Debut (south) Filmfare for her role in Telugu film Hello, says her father was "relieved" to see that she could pull off the role, reports news agency PTI. "My family did not believe I could act when I started off. Since I come from a family with a film background, (I also thought) I will be criticised for what my parents have built and what I have done. 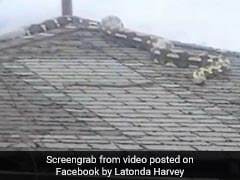 My father was relieved when I pulled it off. I'm a person who takes criticism personally and that had put doubts in my mind about doing a film. I tried to overcome it and give acting a shot," she said. Before getting In front of the camera, Kalyani Priyadarshan learned about filmmaking off camera. Kalyani told PTI that she interned with National Award-winning production designer Sabu Cyril (Enthiran, Om Shanti Om and Kaalapani). Kalyani also worked as a technician in Hrithik Roshan's Krrish 3 and Vikram's Iru Mugan. "I thought behind the camera roles would suit me better because I'm sensitive. Also, my dad and Sabu Cyril (production designer) are very close and so are our families. I grew up watching him and interned with him during my school days. 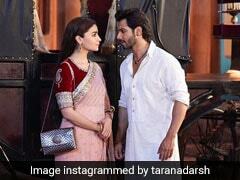 I felt off-the-screen is where I belong," PTI quoted her as saying. Meanwhile, Kalyani Priyadarshan has already signed two more films in Telugu - one with Sai Dharam Tej and the other with Sharwanand. Speaking about the film starring Sai Dharam Tej, which is directed by Kishore Tirumala, Kalyani said, "I am very confident and happy about my role in the film. I would be glad to share the screen with anyone as long as I love my character and the story."